The U'mista Cultural Society was incorporated under the British Columbia Societies Act on March 22, 1974. Since that time, it has worked towards fulfilling the mandate to ensure the survival of all aspects of cultural heritage of the Kwakwaka’wakw. 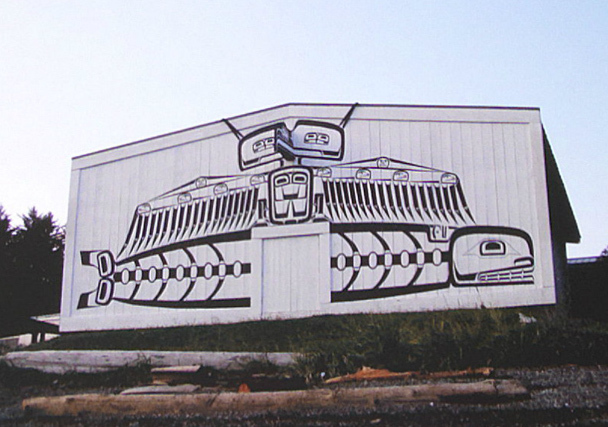 The U'mista Cultural Centre is one of the longest-operating and most successful First Nations cultural facilities in BC, founded in 1980 as a ground-breaking project to house potlatch artifacts which had been seized by government during an earlier period of cultural repression. The return of the potlatch artifacts not only provided U'mista's name (“the return of something important”), and sparked a general trend toward repatriation of First Nations’ cultural artifacts, it caused the creation of a physical facility and human resources infrastructure which have been successfully operated for over three decades. U'mista now operates a modern museum and cultural education facility in Alert Bay. Their operations include the museum, an extensive art gallery and gift shop, group tours, and presentations by dance troupes. The facility hosts international scholars, and supports researchers in a range of disciplines.